One of the more interesting alternative launchers out there (that is to say, one that isn't just a grid of apps and widgets plus a drawer) is Action Launcher. This premium custom launcher has been gaining fans since its launch, thanks to a unique gesture-based app drawer and a focus on speed and usability. With version 1.7, developer Chris Lacy has added some of the features this younger launcher lacks, most notably icon theme support - the various theme packs for GO, Nova, and Apex launchers should work with Action Launcher Pro now. A stock Jelly Bean icon pack is included. Other noticeable changes include the ability to tap and drag apps directly from the Quick Drawer, making it a truly complete replacement for the stock analogue. The Quick Drawer entries now have a more standardized "hamburger" button (three horizontal lines on top of one another) instead of an up arrow. There are a few other tweaks to the Quick Drawer, like a user-selectable tab display, more consistent text handling, full-height drawer drawing, more color settings, an over-the-desktop animation style, and a few more. Users can now disable wallpaper scrolling, as in other customization-focused launchers. Other various UI tweaks and performance improvements have been implemented throughout the app. 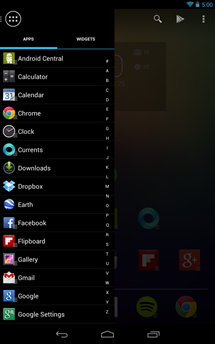 Action Launcher Pro is $3.99 USD, and available for devices running Android 4.0.3 and higher. * NEW: ICON PACK SUPPORT (Sorry for the caps - my inbox made me do it). 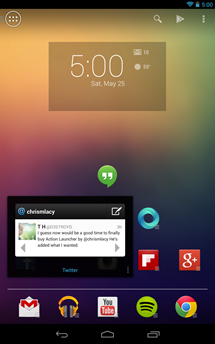 * NEW: Embed Stock Jelly Bean icon pack, so non-Nexus users can switch to a stock look without a third party download. * NEW: Added 'Auto memory cache' option. When enabled, resources will be automatically reloaded in the event Android terminates Aciton Launcher for whatever reason. Found in Labs, and is off by default. * NEW: Display the 'hamburger button' on the action bar instead of the Up button (thanks Arvid Gerstmann). * NEW: Add setting for toggling wallpaper scrolling on/off. * NEW: By default, display "Apps" and "Widgets" headings on the quickdrawer. This change was made because many people missed the presence of widgets. * NEW: Add option to configure how the quickdrawer tabs are displayed. 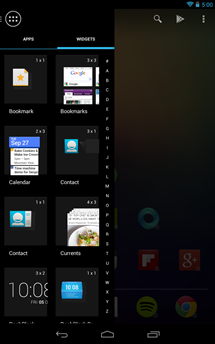 * NEW: Ensure the text and icons for app shortcuts, folders and covers/shutters all display at a consistent height. * CHANGE: The quickdrawer draws the full height of the screen, and displays over the top of the current screen layout. * CHANGE: Restore the ability to select Holo dark as the background on the quickdrawer. Also added a new black option. * CHANGE: Reduce the width of the quickdrawer on tablets to conform with the new Android navigation drawer standards. * CHANGE: Clean up the organization of the display settings. 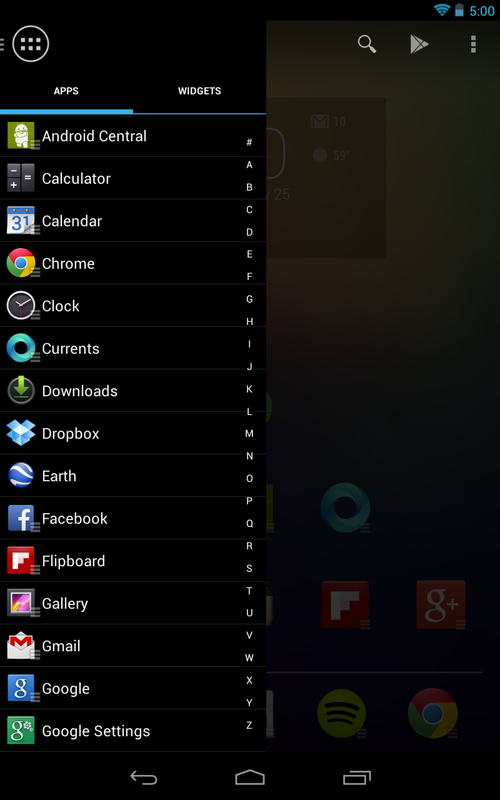 * CHANGE: Don't use a transition animation when loading the system settings from Action Launcher's settings. * CHANGE: Further refinements to icon positioning in landscape mode. * BUG FIX: Clamp the max dock width when importing. Fixes issue when importing an Apex layout that uses multiple docks. * BUG FIX: Fix the initial position of an item dragged from the quickdrawer when the action bar is hidden. * REMOVE: The option of displaying the quickdrawer background as the wallpaper has been removed. This option no longer is appropriate given the Android guidelines specify the portion of the screen not covered by the drawer should be tinted.